Missing teeth is still common in America. There are numerous reasons missing teeth. Accidents, trauma, gum diseases (periodontal disease), tooth decay, and failed root canals are among some of the causes that can cause loss of teeth. Missing teeth should be replaced for many reasons. For instance, patients lose their self-confidence and self-esteem when they are missing teeth. There is a very strong negative stereotype of decreased intelligence and beauty when teeth are missing. Patients suffering from missing teeth exhibit embarrassment when they smile, difficulty speaking, and diminished ability to eat and chew foods. 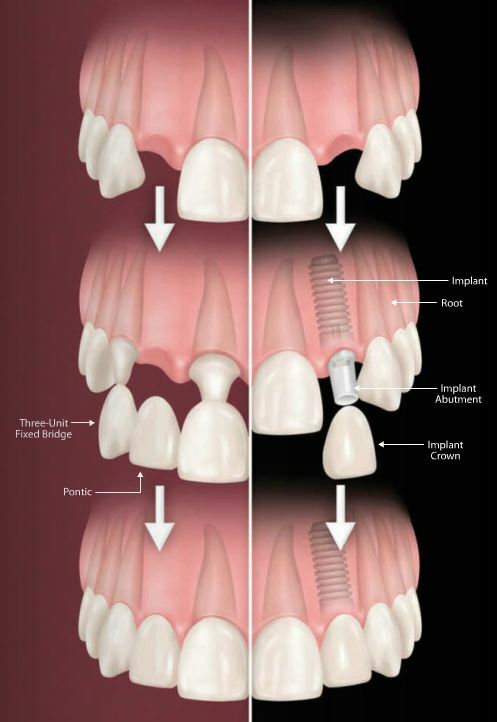 Dental implants are modern technology that can replace missing teeth predictably. 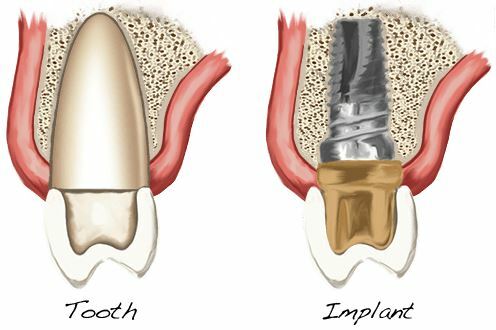 Dental implants are designed to replace teeth from the root up. Thus, dental implants looks, feel, and function just like natural teeth. Before dental implants, old fashioned treatment options of dentures and dental bridges were the only way to replace missing teeth. 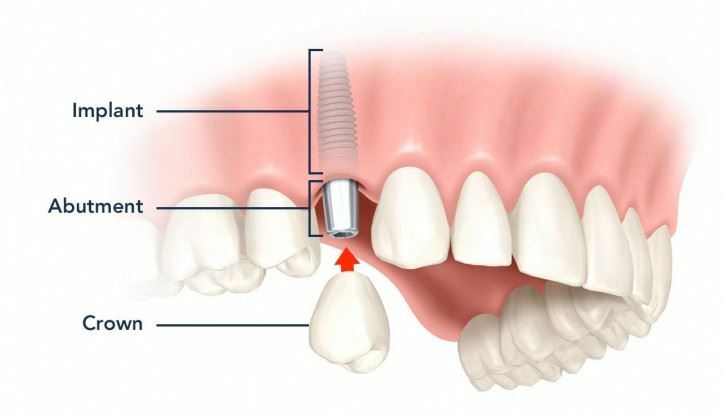 Dental implant is a titanium cylinder that is placed in the jawbone. There the bone grows around and fuses to the titanium cylinder. Then the abutment and cosmetic crown is placed resulting in a new tooth that matches natural teeth in looks, form and function. Dr. Nugent customizes a dental treatment plan for each person based on the person’s specific need. 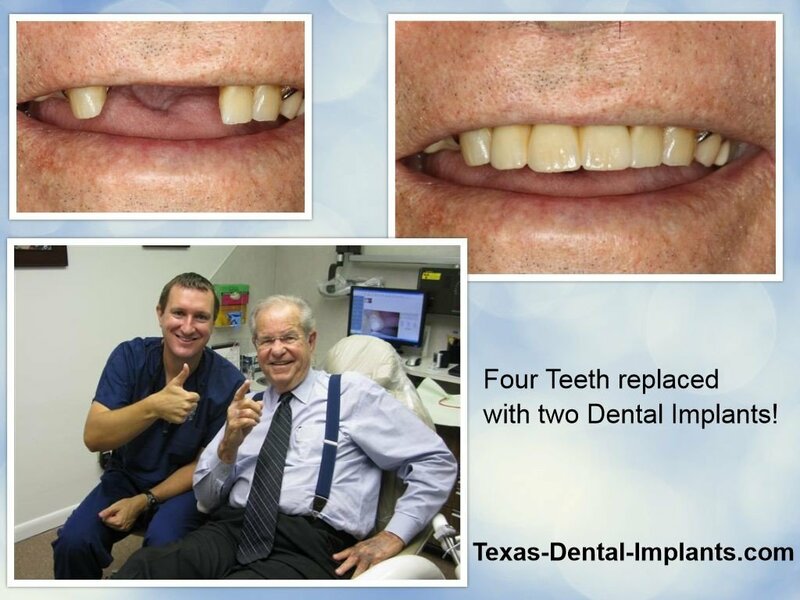 Three are many advantages of replacing missing teeth with dental implants. Cosmetically, dental implants blend in perfectly with natural teeth. Thus, dental implants not only improve your smile, but they also help in improving speech. 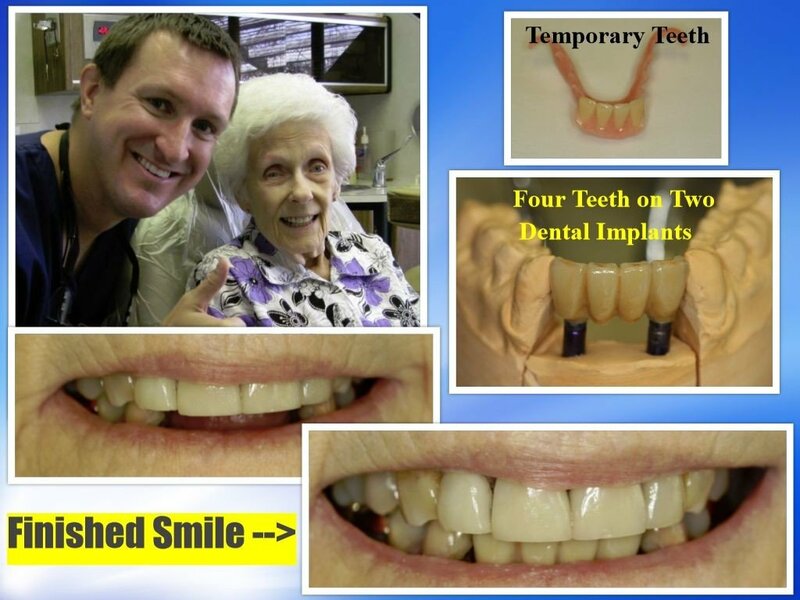 Old fashioned dentures are merely cosmetic replacement of teeth. Dentures do not work or function like natural teeth. Patients in old fashioned dentures complain of the poor fit and inability to eat food. Dentures merely rest on the gum tissue and are free to slide and move around. Dental bridges require neighbor teeth to be ground down in order to place the bridge. Bridges needlessly damage otherwise health teeth. Dental implant do not damage neighbor teeth. Furthermore, over half of all dental bridges fail within thirteen years. This is because bridges are bulky and fuse multiple teeth together. Patients cannot clean the teeth easily. The teeth supporting the bridge get decay and a new more expensive bridge must be made. Also, bridges are lost due to failed root canals from the aggressive cutting of teeth. Dental implants are the longest lasting tooth replacement option. Dental implants will never need a root canal and will never need a root canal. 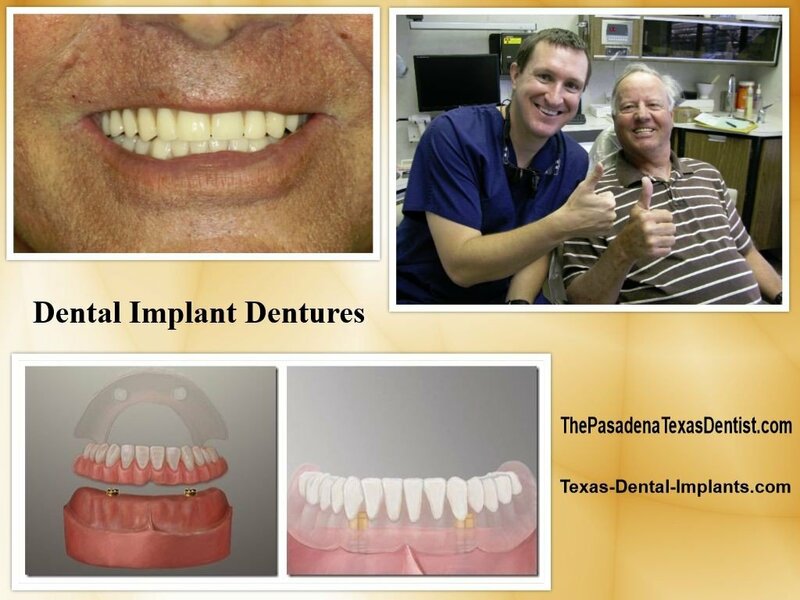 Dental Implant Dentures are secure and stable. No more loose and slipping old fashioned dentures. No more messy and gooey denture adhesive. 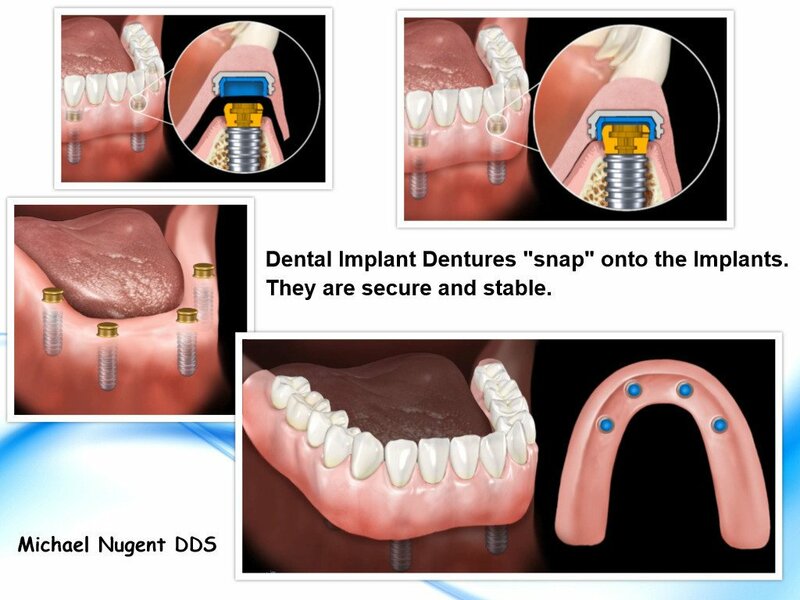 Implant dentures allow patients to eat the foods they love because the denture “snaps” onto the implants. This creates a secure and stable foundation for the denture. 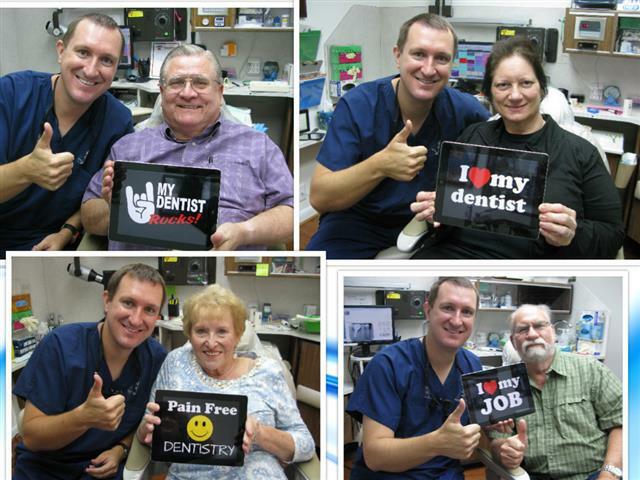 Dr. Nugent has won BEST DENTIST multiple times. 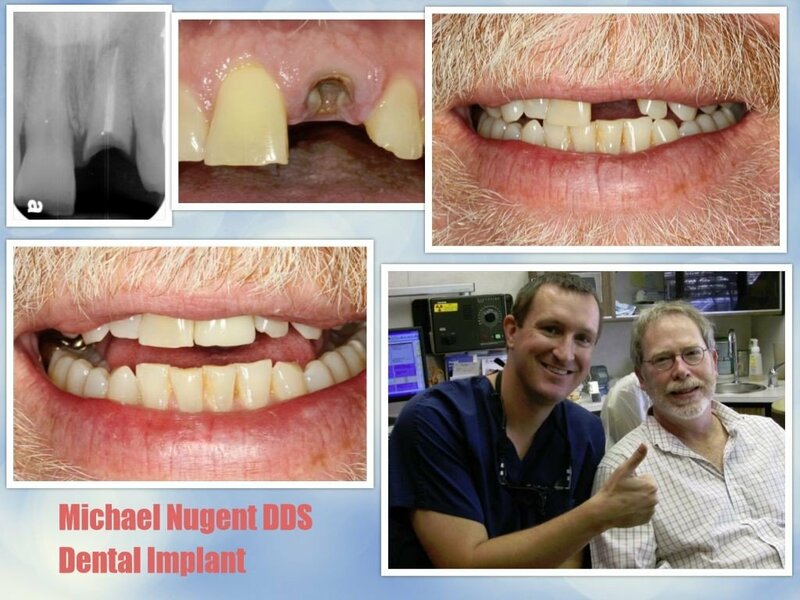 Let Dr. Nugent’s knowledge and experience help you replace missing teeth with dental implants. 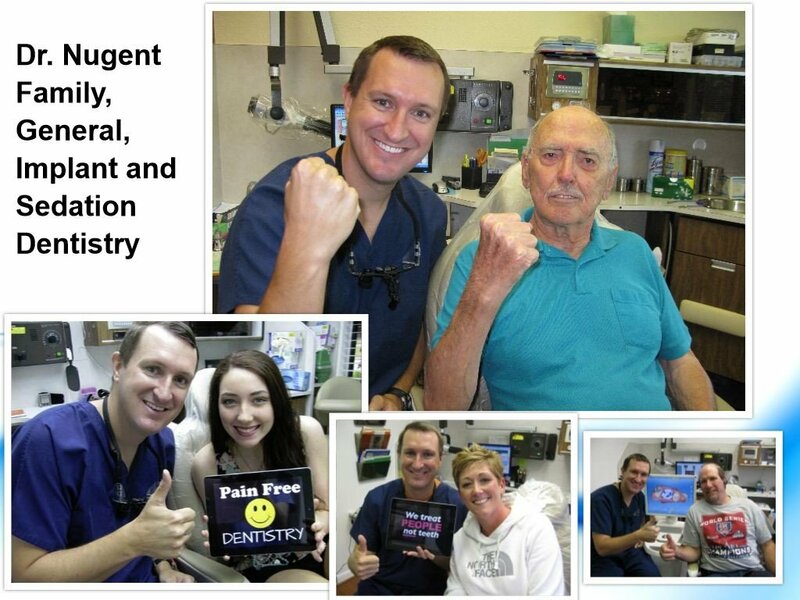 Dr. Nugent treats patients from Pasadena, Deer Park, League City, La Porte, Clear Lake, Pearland, and Houston Texas. 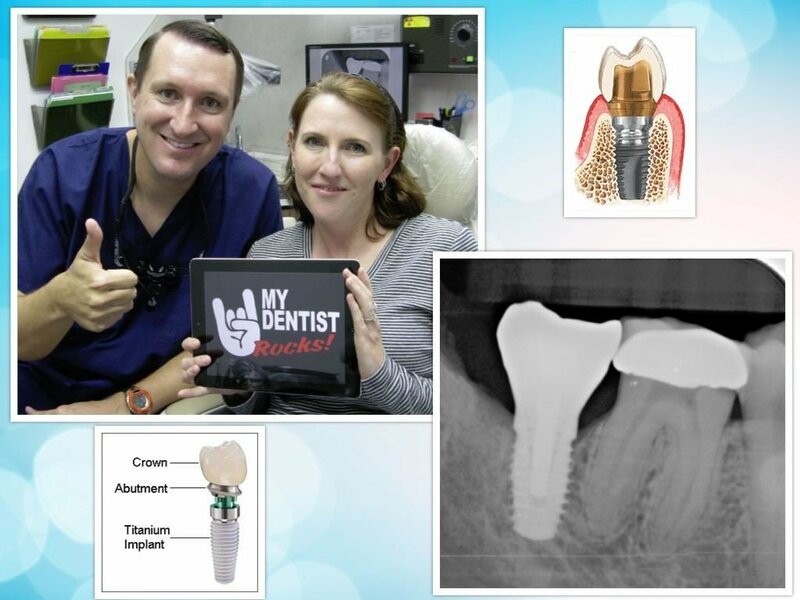 Dr. Nugent is extremely passionate about dental implants. For more in depth information call our office today at 713-941-1812.